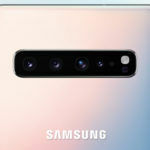 Recently, there have been quite a few leaks and rumors suggesting that the upcoming Samsung Galaxy A90 will feature a notch-less display. Well, today we have a new leak backing up the recent leaks and rumors. This new leak comes from Sudhanshu Ambhore, and it shows the screen protector of the Galaxy A90. This screen protector does not have a cutout for the notch, reaffirming that the display of the Galaxy A90 will be completely notch-less. 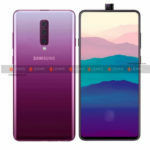 The screen protector also shows that the Galaxy A90 will have extremely thin bezels at the top and both sides, and a marginally thick bezel at the bottom. 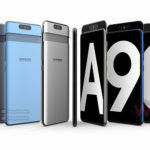 Notch-less display aside, there has been another leak of the Galaxy A90 today, which sheds some light on its processor. This leak comes from Ice Universe; they have posted on Weibo that the Galaxy A90 will feature the Qualcomm Snapdragon 7150 SoC. Qualcomm has not launched this chipset yet, so there isn’t much we know about it. However, the SoC has leaked recently revealing a few of its specifications. According to those leaks, the Snapdragon 7150 will have an 8nm manufacturing process. According to Ice Universe, the Snapdragon 7150 will be a trimmed-down version of the Snapdragon 855, and it will have higher performance compared to the Snapdragon 845. Samsung has recently revealed through a tweet that it is holding an event on 10th April. The tweet has a teaser video along with it, which suggest that the brand might launch three completely bezel-less smartphones. The Galaxy A90 is expected to be one of the three devices that will launch on 10th April. The Samsung Galaxy A90 will be the range-topping smartphone in the A-series from the brand. It is expected to feature a triple-camera at the back, which might include one 48MP camera, one ultrawide camera, and one depth-sensor. The smartphone is expected to come with a large battery, and high RAM and storage capacities. Samsung might most probably launch the Galaxy A90 in India, and it could be priced somewhere between INR 30,000 to INR 35,000. 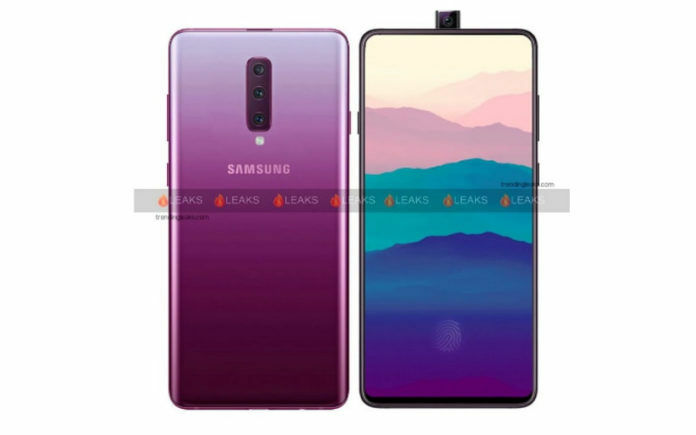 To recall, the Galaxy A90 was first leaked on Samsung’s website, revealing its notch-less display with thin bezels. Steve Hemmerstoffer from OnLeaks tweeted confirming the same. According to him, the bezels at the top and both sides measure 1.2mm, and that at the bottom measures 3.6mm. The tweet from Steve Hemmerstoffer says that the Galaxy A90 will have some sort of rotating camera and 25W fast charging. Samsung already showcased the 25W fast charging in the recently launched Galaxy S10 5G. Therefore, it is highly possible that the Galaxy A90 might feature it. However, I am quite sure if the Galaxy A90 will have a rotating camera; it just doesn’t sound like Samsung. That being said, the device might have a pop-up camera.